URDC cannot continue its work without you. We do not accept any government funding for our programs – all financial support comes from member faith communities, board members, charitable foundations, corporations and individuals like you committed to our community. And your generosity has an immediate impact – 92% of all donations go directly to fund repairs for senior and low-income families. Please make a donation to URDC via PayPal by clicking the link below or via mail by sending your check or money order, payable to Urban Resources Development Corporation, to 6001 Germantown Avenue, Philadelphia, PA 19144. All donations are tax-deductible to the extent allowed by law. URDC can’t do it alone! To serve more people in northwest Philadelphia, we collaborate with a variety of partners – churches, community organizations, non-profits, and individuals – to complete more housing projects and help more people in need. To volunteer as an individual or to volunteer your church/organization to work with URDC, click on the link below. We are always open to assist low-income/senior homeowners in our community who cannot afford the cost of exterior house repairs. 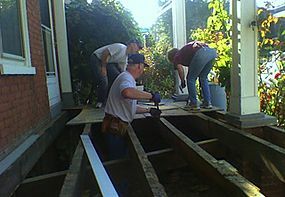 Do you know someone that could be helped by URDC’s Owner-Occupied Home Repair Program? Click on the link below to supply information about the homeowner. A member of URDC’s staff will contact them and provide details of our program. 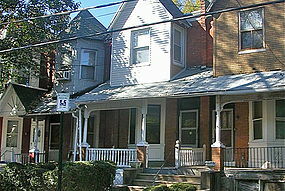 Unscrupulous contractors cheat too many low-income and senior homeowners in northwest Philadelphia. URDC only uses reputable, quality firms for home repair and rehab work – contractors that are committed to doing a good job at a reasonable price. 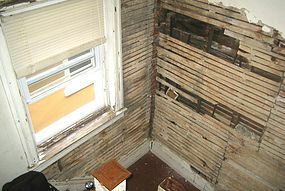 You can demonstrate your support for these contractors during your next home repair. Click below to see a list of URDC’s preferred contractors. 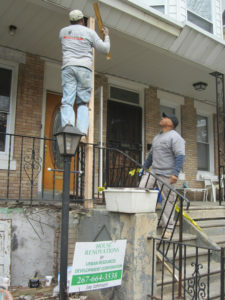 Or contact us if you know of a contractor that services the northwest Philadelphia area.